A motorcyclist was injured in a crash on the Courtney Campbell Causeway Sunday. A motorcycle collided with a vehicle while traveling eastbound east of the boat ramp, according to Tampa Police. The motorcycle operator was taken to the hospital. Before being transported, he was speaking to officers at the scene. The eastbound lanes of the Courtney Campbell Causeway were closed for a few hours while the investigation was conducted. 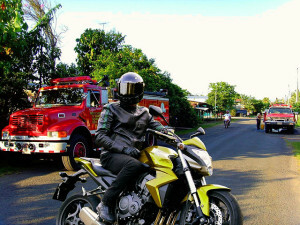 Motorcycles can be a wonderful way to travel to and from work, commute long distances, or enjoy a recreational thrill. The state of Florida has various laws in place to protect motorcyclists, but that does not change the fact that serious accidents still occur. When an accident occurs, even bikers wearing proper head, eye and body protection are no match for the impact of another vehicle. Motorcycles lack the same safety features as cars, so riders can easily suffer severe injuries. Motorcycles are built to be small and light, so a collision with a passenger vehicle or stationary object can quickly lead to tragedy for a biker. If you have been injured in a motorcycle accident, or know someone who has, it is important that you work with a Tampa Bay Motorcycle Injury Lawyer right away. Our Tampa Motorcycle Injury Lawyers at Whittel & Melton can immediately begin investigating the cause of your crash and determine liability so that all negligent parties are held accountable. Contact us today online or call 813-221-3200 to schedule a free consultation with our firm as soon as possible.